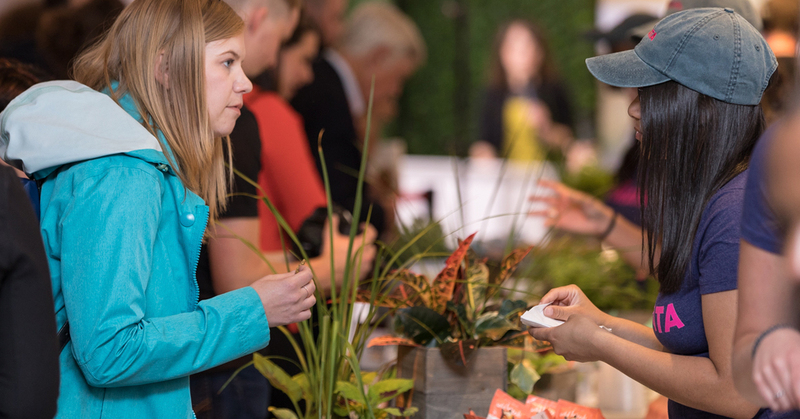 The Sampling Experience + Expo returns to NOSH Live this winter to drive the conversations forward, support emerging brands, and sample innovative products. Brand founders get out from behind the booth to talk about the topics that will move their businesses forward like: the next raise, product roadmap, supply chain and package design while sampling other cutting-edge products and interacting with their founders. The Sampling Experience + Expo, powered by PINATA, is here to stay and will return to the NOSH Live Winter 2018 conference on Thursday, November 29 from 3:00 PM to 5:00 PM, following a full day of industry leading presentations. During the two-hour mini-event we take over the sampling of both ready-to-eat and prepared products from attending brands.This allows founders to be immersed in the business opportunities that present themselves. Natural food brands in various stages of growth participated in the inaugural NOSH Live Sampling Experience + Expo, including Perfect Bar, Kidfresh, Nuttzo, Honey Mama’s, Soozy’s, Alter ECO, Pop Art Snacks, Lawless Jerky, and GO VEGGIE, among others. Industry experts and leading suppliers play a role as well. Expert tables allow for one-on-one conversations with industry gurus, and supplier exhibits provide brands solutions to go next level. It is an intricate piece of NOSH Live, allowing time to sample the products of attending brands and to have more intimate conversations. As always, brands with shelf-stable, single-serve samples will have their products on display throughout the two-day conference during meals and networking breaks. Once again, the NOSH / PINATA staff will handle the logistics, allowing participating attendees to be engaged. Expect to feel the buzz and excitement as attendees discover what’s next for the industry, have important questions answered, and get a jumpstart on solving tough problems. Re energize through conversation, new ideas, and lightbulb moments. If you haven’t registered for the NOSH Live Winter 2018 conference yet, early registration savings ($200 discount) expire this month, on Friday, October 19th. An exciting speaker lineup is in the works and will be announced very soon! Register now and save.